As enterprises launch their digital transformation strategies, it is essential to implement secure, compliant, appropriate, yet convenient identity and access management (IAM). IAM ensures that the right individuals access the right resources at the right times, and for the right reasons. If you're looking to digitally transform customer experience, IAM processes must also be streamlined, or else customers will go to your competition. If the enterprise is going through business model reinvention, which involves radically shifting what you sell, how you sell it or making profit, then IAM is an integral component of that vision. As for achieving digital transformation by operational processes, the IAM should look inward. Today, it is a challenge to implement IAM across increasingly heterogeneous technology environments and to meet increasingly rigorous compliance requirements. This talk will cover why IAM is crucial in digital transformation. Dimuthu focuses on cloud technologies, the WSO2 Carbon Framework and the WSO2 Identity Server. She provides technical consulting to various WSO2 customers as a platform expert. 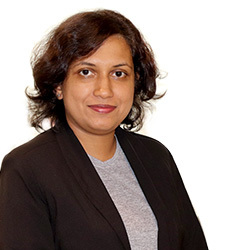 She is an Apache committer and a member of the Axis2 Project Management Committee, having also contributed to the Apache Rampart and WSS4J projects.